An Indian carved wood jewellery box. 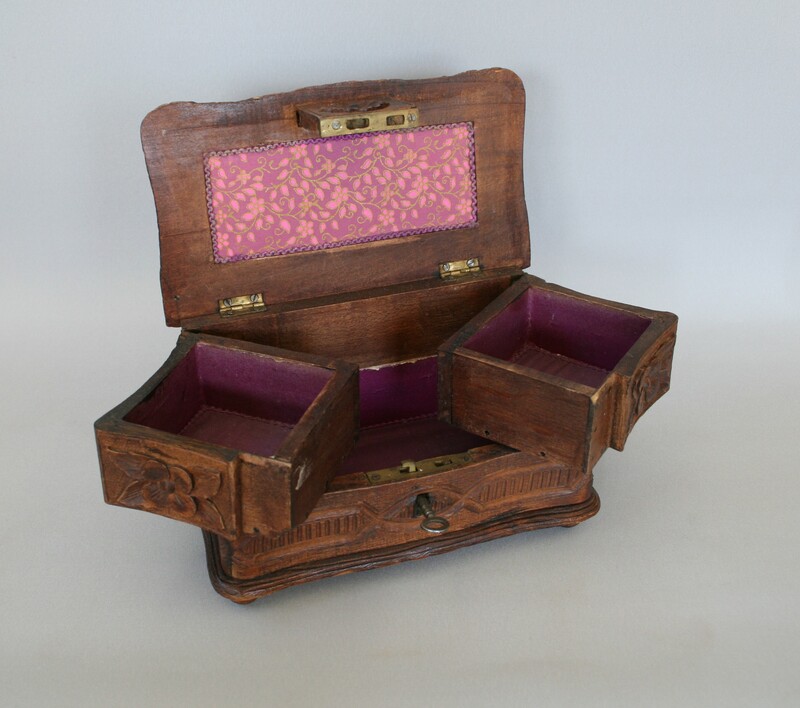 The top hinges open to reveal two small storage boxes. 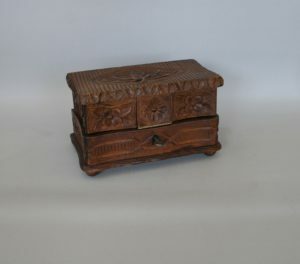 These then hinge to the side to reveal another storage compartment to the base. 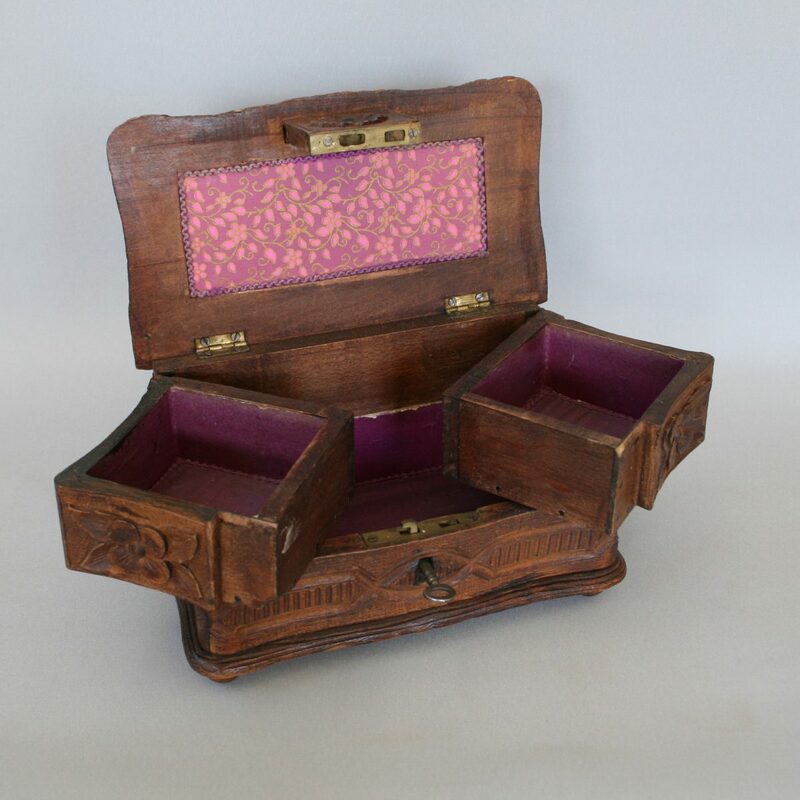 It is lined in purple material and has a working lock and key. It sits on bun feet.